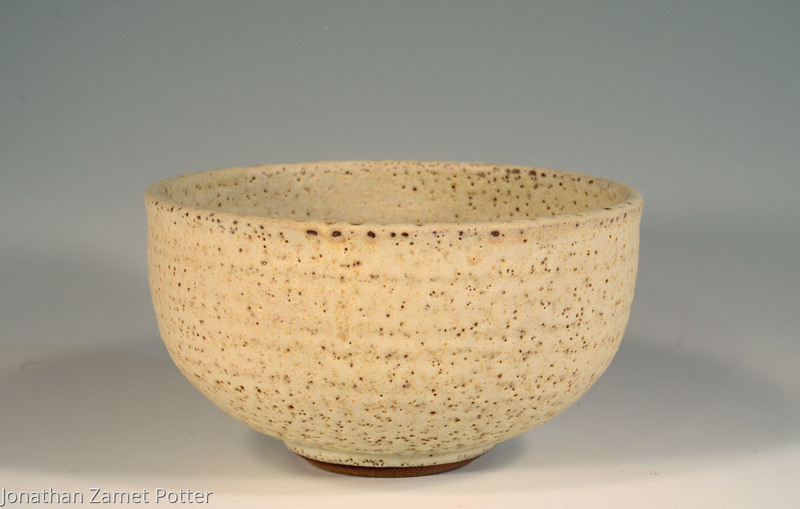 Small stoneware bowl, diameter 6.3". Matt white over iron glaze. I work with this shape often. It is one of my favorites. I like to see a full, generous, belly and a slight flare at the lip. Once in a while, one stands out as a little better than the rest. This seemed to be to be one such.